Searching for a refreshing summer drink with nutritious health benefits? 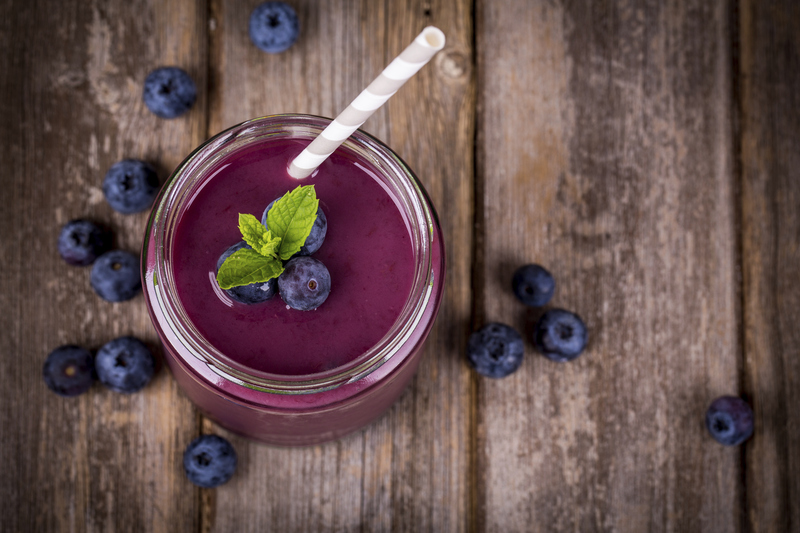 Try our Symbiotic Blueberry Probiotic, Gut-Friendly smoothie. This smoothie is a great source of probiotics, which are extremely important for digestive health. Probiotics help you to maintain a healthy digestive tract and prevent gut diseases. A one cup serving of Bluberry provides 24% of daily vitamin C, 5% vitamin of B6 and 36% of vitamin K needs. Blueberries also provide iron, calcium, potassium, magnesium, phosphorus, sodium, manganese, zinc, copper, folate, beta-carotene, folate, choline, vitamin A and vitamin E.
2. Drink immediately or refrigerate.